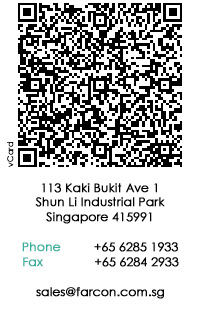 FARCON Singapore is an ISO 9001 certified company in Singapore. We are established in 1985 and have maintained an enviable reputation for serving the semi-conductor and electronics sector with lubricants and chemical products. Over the years, FARCON has extended its products range as well as its in-house facilities. Our latest R&D facility was setup to serve the current fast-changing industries. It has always striven to offer excellent customer service and innovative solutions to many industrial problems. There has been a continuous gaining of a wealth of experience and expertise in all areas that we are seving now. However, our one vision and commitment is to provide a one-stop solution, whether customize or standard products, and pass on the savings to all who use our service.